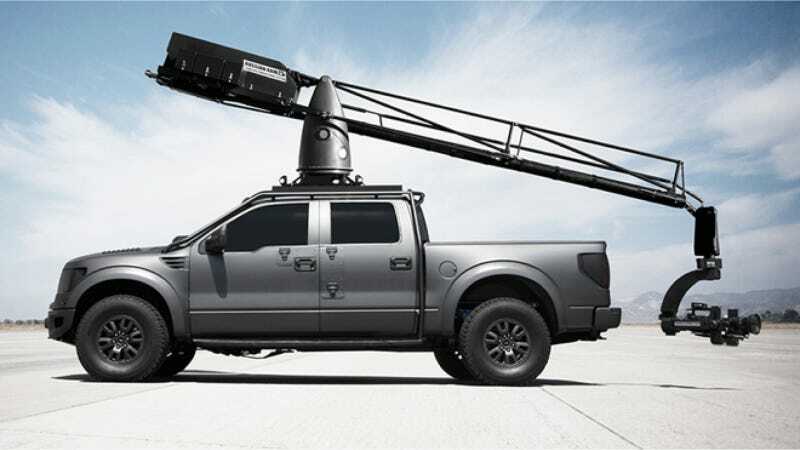 Somebody's out chasing Top Gear's on-camera driver Niki Faulkner around with a camera strapped to a Nissan Frontier today, which reminded me of that excellent Ford Raptor film rig, which made me wonder what other awesome trucks are out there shooting movies? Filmotechnic USA, the folks behind the Raptor, have also fitted a Hummer H1, high-performance SUVs, ATVs, a motorcycle, and a Ferrari with cameras. But we've discussed the road-bound cars before. What trucks have you seen rocking cameras, and which might make the best off-road mobile movie makers?